Part two of Christopher Walters' blog on the new Certificate for Music Educators (CME). Christopher is Head of Teacher Development at Trinity College London. In part 1 of this blog I discussed how valuable it is for music teachers to plug into the bigger picture of music education. By this, I meant keeping up with current best practice and sharing good ideas with other teachers to ensure that the needs of all learners are being met. I also mentioned that Trinity College London is about to offer a new Trinity Level 4 Certificate for Music Educators (Trinity CME), which has been designed to embody these values. This blog will explain more about the Trinity CME and how it has been developed. ISM members may have read about plans for a new non-mandatory qualification for music educators in the government’s 2012 National Plan for Music Education. The idea behind this was to provide training and recognition for music educators working with children and young people, both in and out of school. It was also decided that the qualification should be pitched at QCF level 4, which equates to diploma level or the first year of an undergraduate degree. This was felt to be an appropriate level for a qualification that would seek to offer a firm grounding in the skills and knowledge contained within the six mandatory units, while remaining accessible and manageable for busy music educators. 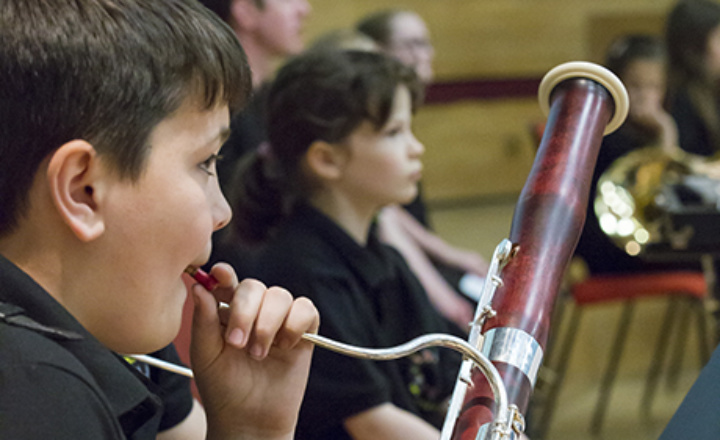 As one of two awarding bodies for the qualification (the other being ABRSM), Trinity is now finalising its own Trinity Level 4 Certificate for Music Educators (Trinity CME), which has now been accredited by Ofqual, the regulatory body for qualifications. The Trinity CME will operate as a devolved qualification, meaning that it will be offered by providers who will be validated by Trinity to register, work with and assess music educators (who, in the context of this qualification, are learners). Providers could include hubs, schools, colleges, conservatoires, universities and other organisations that work with music educators. Educational institutions embedding the Trinity CME into existing music or teacher training courses. Providers will pay set fees to Trinity; for precise details of these, you can email me at [email protected]. Trinity will start validating providers in September, and will publish a list of validated providers as soon as this is available. Providers will set their own fees to learners, so anyone interested in registering for the Trinity CME as a learner should contact an appropriate provider for more information as soon as this is possible. I hope this blog has helped clarify how the Trinity CME will work. It is an exciting project to be working on, and I look forward to seeing many music educators - and, in time, children and young people - benefit from it.